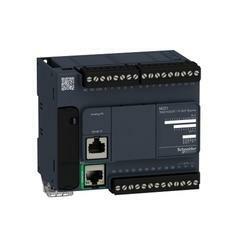 A Digital Logic Controller (DLC) is used for Load, Displacement, Pressure, Vacuum, torque & Angle measurements. DLCs are used in many industries and machines. The DLC is designed for two digital inputs and two relay output arrangements. These are programmed to control machine operation. Used for automation of different electromechanical processes like machinery control on amusement rides, factory assembly lines, or light fixtures, our Programmable Logic Controllers (PLC) are highly demanded by the clients. The company is the prominent Programmable Logic Controllers Manufacturer and Supplier in India. Maximum Inrush Current: 4.0 A/point, 10 ms max.